One of the keys to the amazing effectiveness of SMARTePLANS® marketing is the professional photography embedded inside the floor plan that launches out of the drawing with the click of a mouse. I’m a huge fan of the professional photographers I meet onsite. I see their creativity and imagination at work — yes– you can actually see the “wheels spin”. And I see their dedication and concentration to get THE SHOT …and they won’t give up until they get it just right. I see the “IN PROCESS” and than when the photos come in and we’re deciding which ones to use, I see the “RESULT” — and am always blown away. I’m not talking about photographer “tricks” like using a fish-eye lens or stepping inside a closet and shooting back into the room to make it look bigger. No, what I’m talking about is that when I was in the home … that particular room appeared to me as rather unremarkable and also perhaps a little small and dark. But when I see the photo … the drapes have been opened, the blinds drawn all the way to the top and photographer timed his shot in that room in order to just catch the afternoon sun slanting through the windows and illuminating the shine in the hardwood floor — THAT is artistry! The internet is a visual medium. People will absolutely decide whether it is “worth it” to see your home based on the photographs they see on MLS …. so hire a professional and make sure your photography gives you the “edge” you need to obtain the best value for your property. I’ve listed below some of the photographers I’ve met over the years and their contact information. Their work is also displayed in various locations on my website with their permission. I am convinced there is no finer real estate marketing than a SMARTePLAN with professional photography embedded inside the drawing. And for the past 15 years I’ve consistently witnessed the professional photographers at TK Images creating the shots that make everybody go “Ooohhh” and “Aahhh” when their photos launch out of the online SMARTePLAN. Yes, they are plain THAT good — often mimicked, but never mastered. 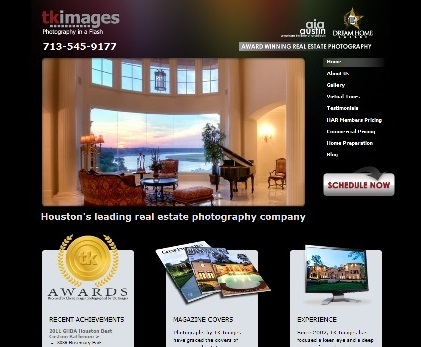 The photos in the collage above were shot in The Woodlands, Texas by TK Images. You have to admit, combining the talents of SMARTePLANS and TK Images produces some VERY effective marketing for your property. If you are selling a luxury property soon, we hope you will give us the opportunity to do the marketing —- let us show you what we can do. The majority of the photography on my website is the work of the artists at TK Images and is used with their permission. Enjoy! A world-class, award winning professional photographer renowned for his incredible shots with extraordinary lighting, color and composition. Studied with Ansel Adams. Published in national magazines. He is in demand by real estate, business and industry — architectural, advertising and exhibits. His work is extraordinary … I can see a series of photos and pick out the ones that are Rob’s, the way he uses light is phenomenal … a true master artisan. 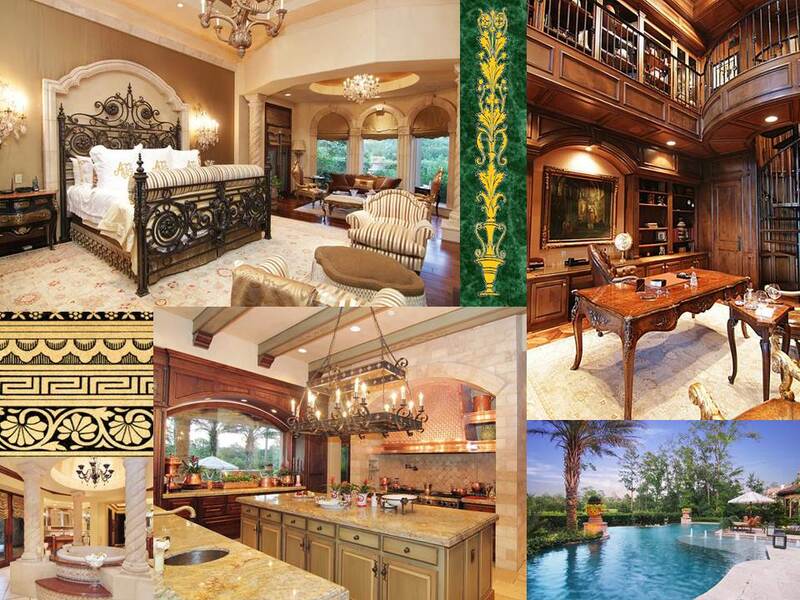 Real estate photographer for many luxury and high value homes. Contemporary homes are often difficult to photograph well and he was actually the photographer of the awesome “Luxury Residence is a Masterpiece of Modern Art” as seen on Sample SMARTePLANS — and captured it expertly. See (a partial ) list of Photo Credits on Sample SMARTePLANS. Well known photographer specializing in residential real estate, commercial and design work. He is actually the photographer of one of my all-time favorite listing shots. His photos of “Residential Home in Memorial w/ Courtyard Garden & Pool” as seen on Sample SMARTePLANS really showcase the home …but that shot of the pool with the waterfall in the background is one of my favorites. See (a partial ) list of Photo Credits on Sample SMARTePLANS.